December 4: Today, the ABLE National Resource Center (ANRC) hosted a congressional briefing at the Russell Senate Office Building in Washington, D.C. The event provided Members of Congress and ABLE related stakeholders with a progress report on the Stephen Beck Jr., Achieving a Better Life Experience (ABLE) Act implementation nationwide. To date, more than 30 states have launched ABLE programs. 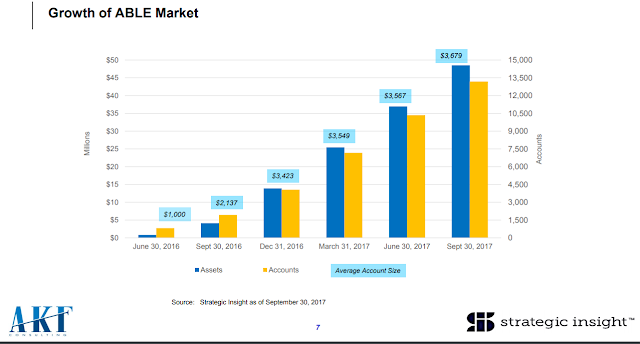 The briefing shared key information about ABLE account owner demographics, number of accounts opened, contribution levels and other significant data points. Attendees heard from two sets of distinguished panelists who shared ABLE success stories, examined implementation challenges and looked into the future with respect to legislative recommendations to strengthen ABLE. The briefing was hosted by the ANRC, sponsored by Senator Robert “Bob” Casey, Senator Richard Burr, Representative Pete Sessions, Representative Tony Cardenas and Representative Cathy McMorris Rodgers, in collaboration with the Consortium for Citizens with Disabilities (CCD) Financial Security Taskforce and the National Association of State Treasurers (NAST) ABLE Committee. During the nearly three years since the ABLE Act enactment, a tremendous amount of work has been done on the local, state and federal levels to ensure that ABLE eligible individuals with disabilities have the opportunity to build a sound financial future, without jeopardizing their eligibility for various supports and services provided by means-tested programs. Slides from the briefing can be found HERE. The agenda from the briefing can be found HERE.